If you are looking to add a new element of advertising to your business, then a red A board is sure to grab passing trades attention and provide a standout display. Alternatively, a red pavement sign could also be used to further your brand recognition if you already have red branding as standard. 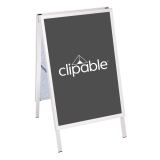 This red sandwich board features a double sided display which means you can promote two different offers or messages at the same time and has protective rubber feet to ensure longevity. What is the pavement sign made from? This sign has been designed to withstand a certain amount of bad weather with two galvanised steel back panels and a thick 32mm aluminium frame. The frame weighs 7.3kg. 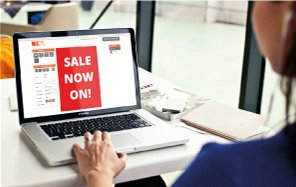 How thick is the snap frame on this A board? 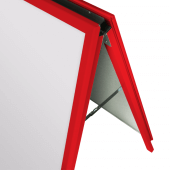 This frame is 32mm thick which is great for holding larger posters in place, particularly outdoors. The thicker the frame, the stronger the grip. The frame on this board is in red, RAL colour 3020. 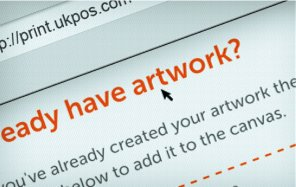 How do I update my posters? 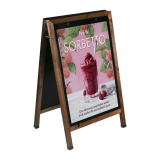 This A board features our clever snap frame mechanism providing a quick and easy way to update your posters. 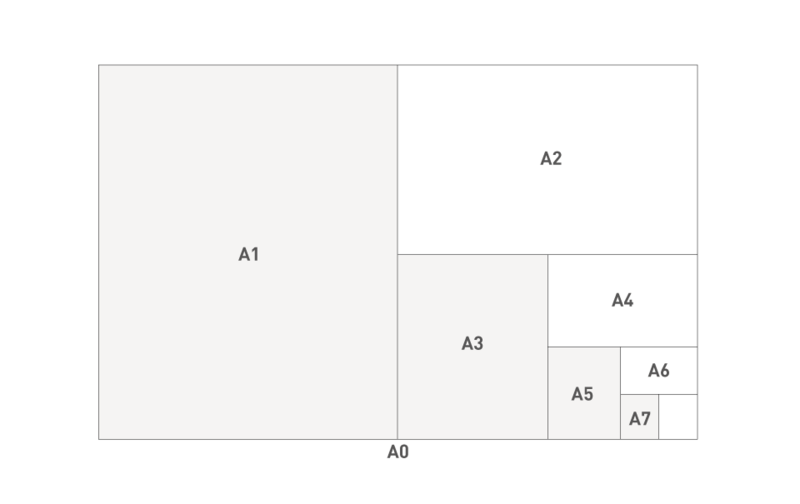 You simply clip all four sides open, remove your graphic, replace it with your chosen one and then snap the frame shut again. How do I store the board? 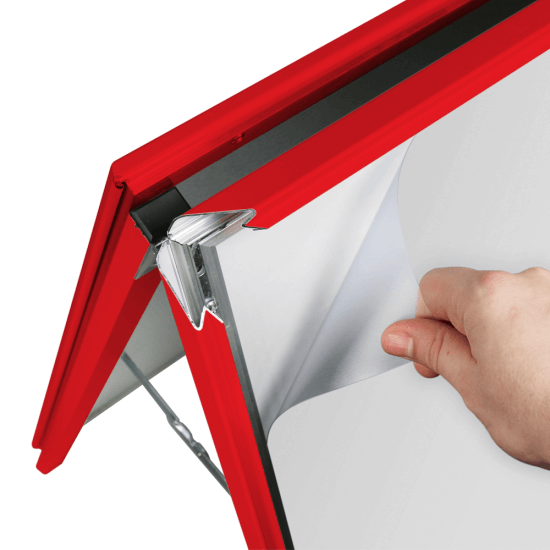 The A board simply folds away using its side hinges for easy and neat storage. It can either be stored upright or lay flat. What are the protective covers made from? 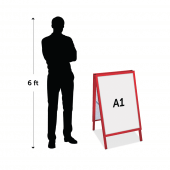 This pavement sign comes with two protective covers made from PVC with a UV anti-glare coating to ensure your posters are kept in the best condition outdoors. 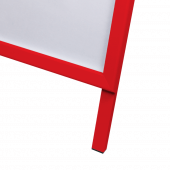 Can I use standard paper in my A Board? Yes, you can. 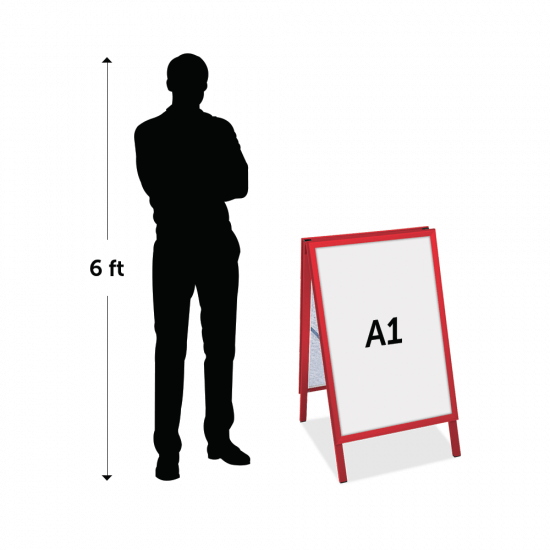 However, we highly recommend printing onto polypropylene paper or another waterproof based insert so that your poster doesn't run or ruin outdoors. 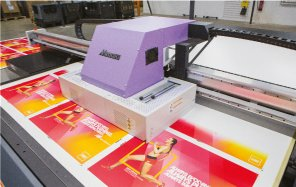 You can get your artwork printed on polypropylene paper using our printing service. Very good A Board, in great pillar Box Red perfectly matches the Red Shield that The Salvation Army use... stands out from other boring grey signs. good quality, lightweight. Packed very carefully and arrived on time. 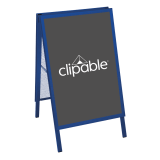 Would certainly use again especially if they do quality Sandwich Boards that I could wear when walking up and down the town.